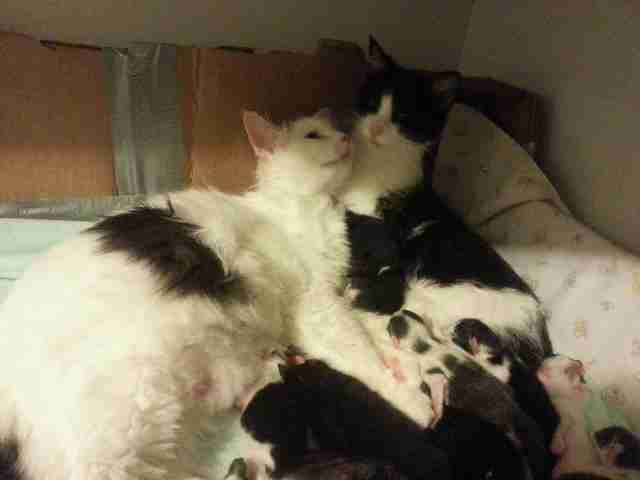 These rescue cat sisters know that when it comes to parenting newborns, it always helps to have an extra set of paws around. 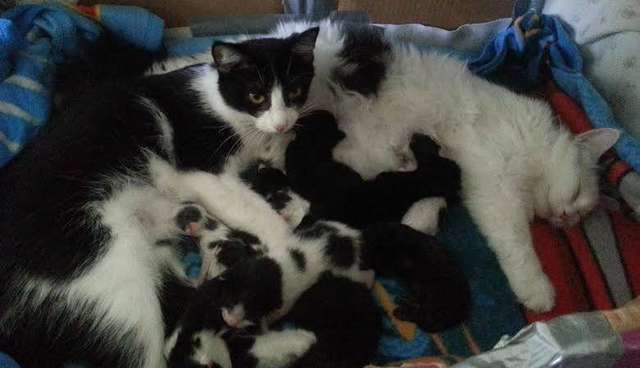 Kanji and Sushii, who are in a foster home through the Vancouver Orphan Kitten Rescue Association (VOKRA), gave birth to their litters at the same time. With 12 new kittens between the two of them, the mama cats are splitting their caretaking duties. 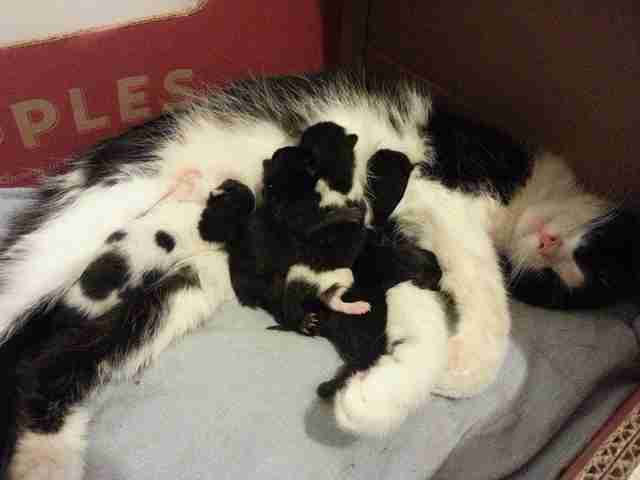 They even nurse each others' kittens. The new babies are getting double the love. As soon as they're a little bigger, they'll be up for adoption, as will Kanji and Sushii. 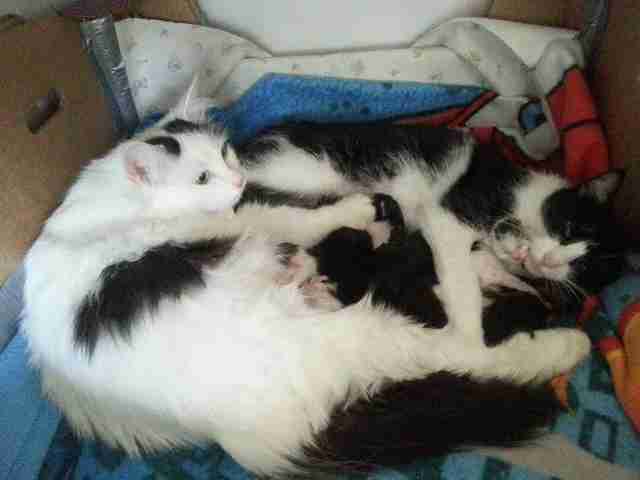 Maybe a wonderful family will adopt the sisters together - the rescue group describes them as "inseparable." Like many shelters, VOKRA relies on volunteer foster families to help them care for mamas and kittens. This spring the rescue is at full capacity, with 600 cats currently in their care. Consider easing the burden on shelters this kitten season by donating bottles, blankets, kitten formula or taking in fosters.